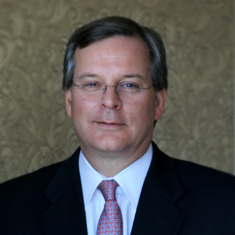 Russ Keene’s expertise includes business advisory, corporate positioning and media relations. Russ co-founded Crossnore Group in summer 2008 after leading the Austin office of global public relations firm Burson-Marsteller for five and one-half years. At Burson, and before joining Burson at the Washington-based international business advisory firm Kissinger-McLarty Associates, Russ advised some of the country’s leading brands on business development, communications and government relations strategy. Russ has held management positions in Texas attorney general, gubernatorial and state legislative policy offices and campaigns, as well as leadership roles in the presidential campaigns of George H.W. Bush and Mitt Romney. He attended the University of Texas at Austin, where he today is a member of the university’s athletic department’s Longhorn Foundation Advisory Council and the Advisory Board of the Moody College of Communication’s Annette Strauss Institute for Civic Life.